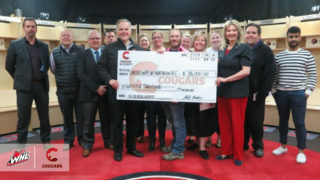 The Lethbridge Hurricanes and Prince George Cougars swung a deal to benefit both sides Wednesday. 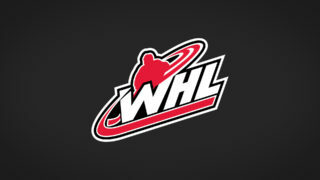 Defenceman Tate Olson (1997) is on his way to southern Alberta while the Hurricanes flipped a third round selection in the 2018 Western Hockey League Bantam Draft to the Cougars. 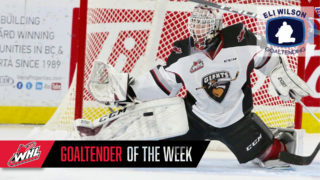 Olson was originally a second round selection of the Cougars in the 2012 WHL Bantam Draft. He’s since spent his entire junior career with the club, scoring 23 goals and 107 points in 252 games. In 2015, the Vancouver Canucks selected the Saskatoon, Sask. native in the seventh round of the NHL Draft with the 210th selection. Olson brings 15 games of playoff experience to the Hurricanes, with four goals and seven points in that span. Of his 23 regular season goals, 11 have come on the power play. Five have counted as game-winners. 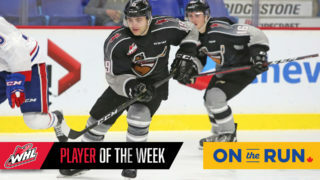 “Tate’s one of the premier defenseman in the league and any time you get a chance to add a guy like him you have the obligation to do that,” said Hurricanes general manager Peter Anholt. “I think coming out to the Eastern Conference will be a nice change for him. 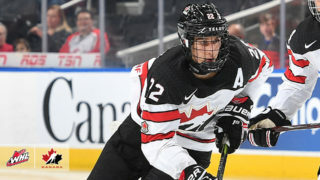 The move gave the Cougars some more flexibility on their overager situation. The team is presently carrying four (forwards Jared Bethune, Aaron Boyd, Brogan O’Brien and defenceman Shane Collins). Up next for the Hurricanes is a date in the provincial capital Friday with the Edmonton Oil Kings. The Cougars make their first trip of the year to the United States for a weekend swing starting Friday against the Seattle Thunderbirds.